SEPANG: Danilo Petrucci topped the timesheets in Malaysia on Friday, emerging as the fastest-ever MotoGP rider at the Sepang circuit and enabling Italian manufacturer Ducati to dominate the final day of testing. In dry but blistering hot conditions, Petrucci -- who has replaced Jorge Lorenzo in the Ducati team -- topped the timesheets to set a stunning 1 minute 58.239 seconds early in the final three-day test. That obliterates the unofficial all-time lap record of 1min 58.830sec set by the three-time world champion Lorenzo during the 2018 pre-season testing. But Petrucci quickly downplayed his sizzling performance, saying the unusual dry track conditions contributed to his awesome performance. "I did a very good lap time but the (track and weather) conditions was good," he told reporters. 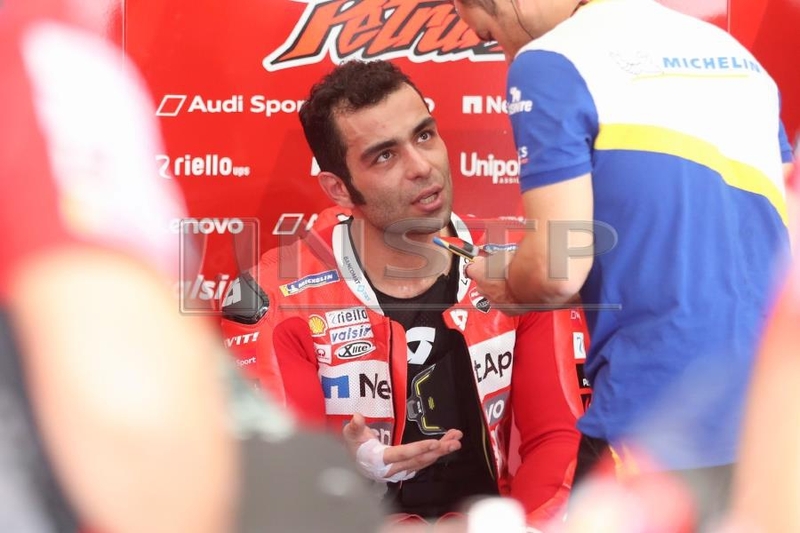 Petrucci also said it was going to be tough to secure a podium finish in the 2019 season. "I think we are okay to be in the top five. I don't know if it is enough for the podium," he said. Petrucci's closest challenger was Italian rookie Francesco Bagnaia also on a Ducati who was 0.063 seconds slower. Bagnaia's teammate Jack Miller of Australia rode his Ducati to finish third with 1min 58.366sec. Another Ducati rider Italian Andrea Dovizioso was fourth, 0.299sec behind his teammate and quickest rider Petrucci, making it an all Ducati top four. MotoGP riders from Honda, Ducati, Yamaha, KTM, Aprilia and Suzuki are at Malaysia's Sepang circuit. Lorenzo is the only 2019 race rider absent, due to a recent wrist injury, and will ride for Honda this season alongside compatriot Marc Marquez after switching from Ducati. Yamaha's Maverick Vinales who was quickest on Thursday, slipped to fifth at 1min 58.644sec. LCR Honda's Cal Crutchlow, making his return on a MotoGP bike after a major ankle injury halted his 2018 campaign, finished sixth. Valentino Rossi, in his 24th year of motorcycle grand prix racing, was 10th while world champion Marc Marquez who is recovering from a shoulder surgery sat 11th. Marquez told reporters that inflammation in his left shoulder forced him to ride easy on Friday. "Of course I would like to ride more and more fast but my physical condition is far from 100 percent," he said at the end of test. After the Sepang testing, the MotoGP riders head to Qatar for the final three-day test from February 23 at Losail International Circuit.